April 8, 2018 – The increasing penetration of cryptocurrency technology across all the industries on a global scale has given birth to the fast-growing blockchain-based game segment. Zeepin, in view of this emerging trend has created CryptoGalaxy — a Galaxy super dApp, which has already acquired thousands of fans in the blockchain community just after the release of its teaser. 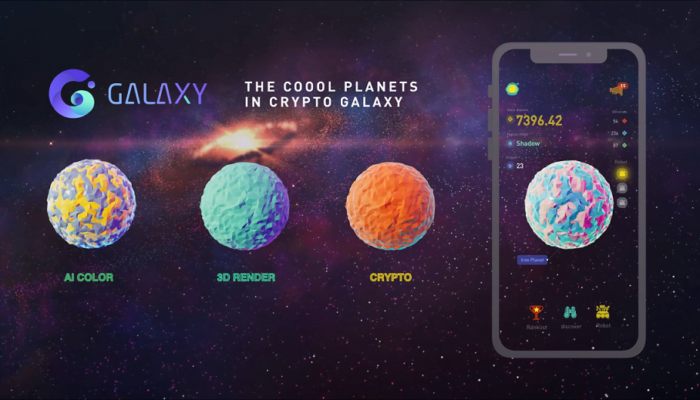 CryptoGalaxy is the world’s first blockchain-based game having a virtual universe theme, enabling players to enjoy the universe exploration via mobile dApp, compatible both with iOS and Android. CryptoGalaxy game has been built on the principles of “Playable Creativity” and “Explore-trade-benefit”, which are also its slogans. CryptoGalaxy is both profitable and entertaining since players can win Gala tokens by performing tasks within the game. As opposed to the traditional games, Galaxy is the virtual universe that can be turned into digital assets and run under Zeepin’s ecosystem . CryptoGalaxy players can earn profits by digging on their plants to obtain mythical crystals that can be converted into Gala – a token that drives the entire Galaxy blockchain. The blockchain is maintained by Galabot Interstellar Mining, that can be upgraded for more power. In the later parts of the game, players can stake ZPT (Zeepin token) in their Zeepin Wallet to receive a planet. (The ZeeWallet and ZeeChain will be connected to Galaxy Chain). The value of the planet will increase through the game as users complete various tasks. They can sell, buy or trade planets with other players in the Galaxy store. Players can earn Gala in a number of ways, the details of which will be announced by the company soon. 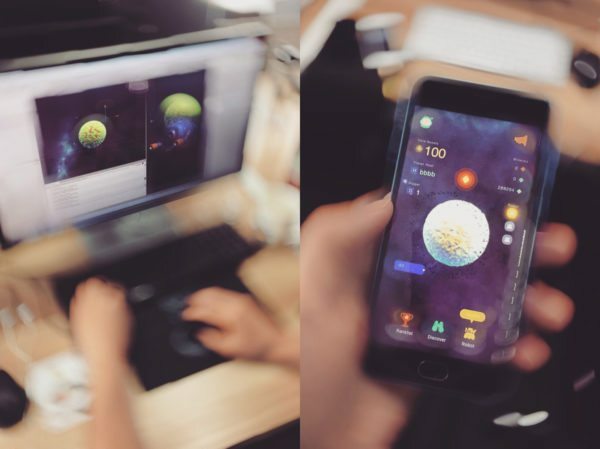 To impress users with fascinating visualized experience, Unity 3D technology will be applied for real-time rendering of the exclusive attributes of the planets. The planets within the game will be on par with exquisite artworks. The color, physiognomy and other attributes tied to the planets will be presented on a random basis with the help of AI technology to make sure every planet is unique. Each player will have a role as an explorer in the game and embark on an epic journey to discover new planets. Meanwhile, each explorer will be a part of an alliance with other players and will form a nation. The ranking will reflect the number of planets owned by players in a specific nation. The nation owning the most planets will top others on the ranking list and become the winner. Universe will be formed with multiple galaxies, countless planets, exploration is limitless, when a player discovers new things they will automatically put them on a map. They can sheer their planet in CryptoGalaxy. The Closed Beta Test Activity Coming Soon – Chance To Get The First Batch Of Planets & Be The First To Play The CryptoGalaxy Game! The CryptoGalaxy’s Closed beta test activity will run from April 9th till April 16th, where users will be able to vote for their country and select products/monuments/ideas that represent their country best. You can submit the form and share it on social media with your personalized referral link. There will be a ranking list everyday with most active users. CryptoGalaxy will reward top daily users by giving them a chance to participate in the closed beta test and to receive the first batch of planets. More details and updates are available on Twitter.